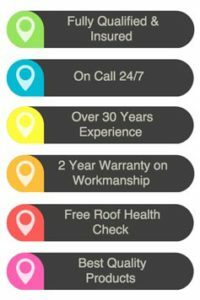 Perth Roofing & Gutters - Perth's #1 Roofing Experts! The roof of any building is one of its most important features. It protects your home (or office) from the cruelest elements on a constant basis. That is why when it is time to repair or replace your roof, a reputable roofing company is an absolute must. 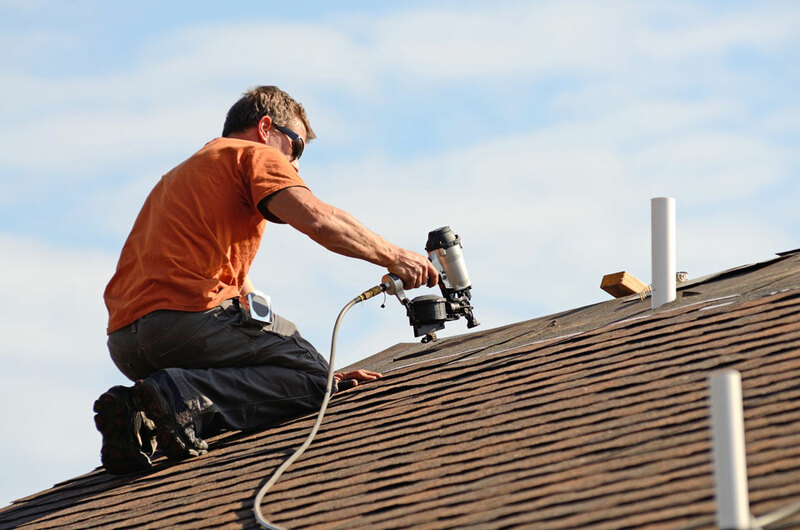 Repairing or replacing a roof is a large investment, and you want to be sure that you are relying on skilled professionals who have your best interest at heart. 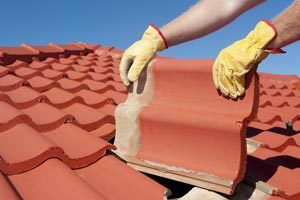 At Perth Roofing & Gutters we pride ourselves on our decades of experience, as well as our friendly and knowledgeable staff. From your first call to us, until your final handshake when the job is complete, we make certain that you receive the expert attention that you deserve. Regardless of the size of the project, we believe in doing each job with the same excellent care and precision. Because we are a Western Australian family owned and operated business, we understand the value of building solid relationships with our customers. If there is something you feel is not right, tell us, and we will make it right.At Perth Roofing & Gutters we pride ourselves on our decades of experience, as well as our friendly and knowledgeable staff. From your first call to us, until your final handshake when the job is complete, we make certain that you receive the expert attention that you deserve. Regardless of the size of the project, we believe in doing each job with the same excellent care and precision. Because we are a Western Australian family owned and operated business, we understand the value of building solid relationships with our customers. If there is something you feel is not right, tell us, and we will make it right. Your satisfaction is 100% guaranteed. 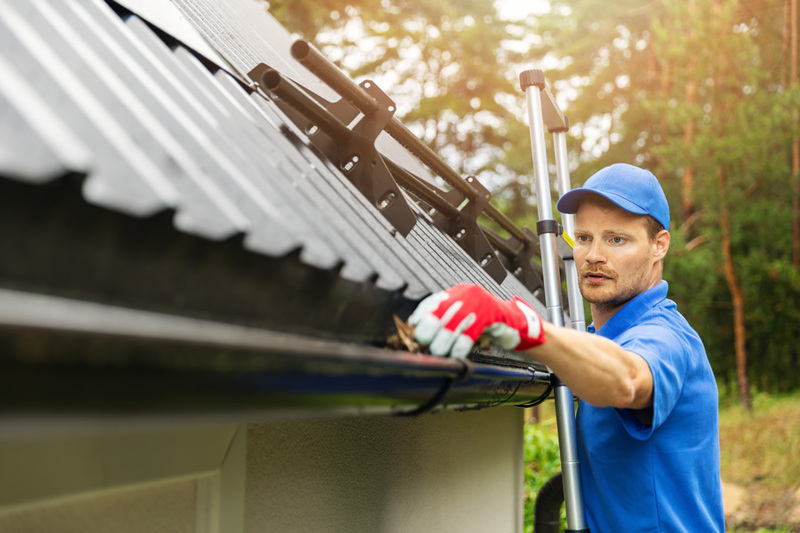 We are proud to offer a broad range of services here at Perth Roofing & Gutters, and we are equipped to meet residential, industrial, and commercial needs. Our list of available services includes roof repairs, guttering, re-roofing, asbestos removal, roof plumbing, insulation, and roof tiling services. Additionally, we are pleased to offer our customers installation and maintenance of skylights, box gutters, custom flashings, vents, and spouting. 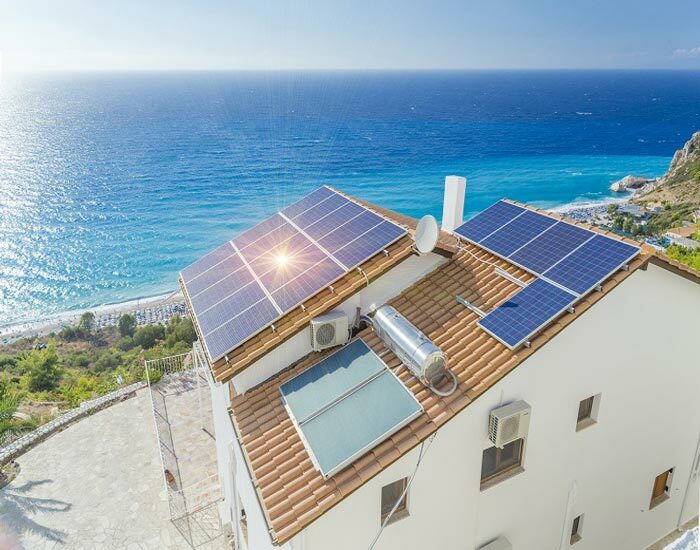 We are available for cleaning of gutters, skylights, and solar panels as well as maintenance of tile or tin roofs. Have an emergency with your roof? Call our team any time and we can help! We have over 30 years experience in dealing with all things roofing and gutters. We make sure all our customers are completely happy with the finished job. All of the professionals here at Perth Roofing & Gutters are licensed and insured. 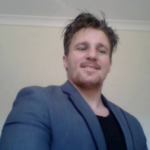 We adhere to the safety and health methods required by the Western Australia government. We work according to the meticulous Australian standards and only use quality materials from reputable suppliers. All the members of our installation teams are well trained and personable. You can expect the workers assigned to your job to arrive, on time, in professional attire, and ready to complete the project promptly. You do not need to worry about work crews beginning your task and then disappearing for days at a time. Upon assessing the job, we provide a free written estimate and will beat the price of competitors’ written estimates for the same work guaranteed. Sometimes it is easy to overlook what may appear to be a small problem with your roof or gutters. Often we are so busy taking care of what is clamoring for immediate attention that a drip, a leak, or other sign of moisture falls by the wayside until it suddenly becomes a major dilemma. At Perth Roofing & Gutters, we want to help you keep great crises at bay by offering a free fitness check for your roof and gutter system. This inspection is a service which our competitors offer for $150 or more. At the time of your roof’s fitness check, we will give you a detailed report of what issues or potential issues we discovered along with roughly estimated costs of repairs. You are under no obligation to schedule any service. 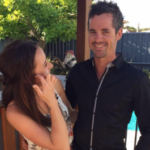 Note: if you have a new house or major renovation, we generally work with the team at https://www.kre8wa.com.au/. Their workmanship is second to none. Contact Us Today to Receive a Free, No-Obligation Quote! We understand that our customers’ needs do not necessarily end with the completion of a roofing job. That is why we proudly offer a full range of services for many of your repair and replacement needs. Gutters—it is in our name, and we take our gutter work as seriously as we take our roofing, because gutters help to extend the life of your roof. If you are in need of gutter installation, repair, or replacement, we will take care of your gutters with the same high standards that we approach all of our work. We provide the same 100% guarantee and the same pricing policy for our competitors’ written estimates. We offer several styles of gutters that are available in dozens of colours to compliment your home or business. All styles of gutters have slots allowing torrential rains to drain from the front of the gutter; preventing water backup near your roof. Standard style – The standard style flatters all types of buildings. It has a classic line and is a highly popular choice for new construction. Colonial style – This has a classic lifted silhouette which compliments all styles of buildings. Quarter round – Our most popular gutter built with Australia’s harsh climate in mind. The unique design of the quarter round gutter withstands powerful downpours and leads water away from your roof with ease. Patio gutters – Our patio gutters are all custom fit and low profile to remove water efficiently without detracting from the look of your patio. 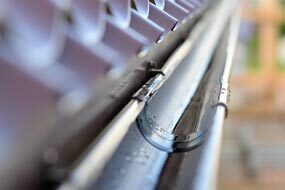 Gutter Guards – We also provide gutter guards to help keep your gutters clear and the water flowing smoothly. The guards are made of sturdy mesh and fit all gutters. The mesh keeps leaves and debris out of your gutters, so they efficiently remove water. Downspouts – Having proper downspouts on your home or business is as important as having quality gutters. Our downspouts come in the traditional round shape as well as a square gutter shape which is very popular with owners of buildings with a modern flair. Fascia – The fascia of a building typically will last for the life of the structure. However, if the fascia on your building sustains damage or if you would like a fresh and updated look, we can replace the fascia on your structure quickly and easily. Whether you need new gutters and down pipes, need to fix existing ones, or want to give your gutters a good clean we do it all. 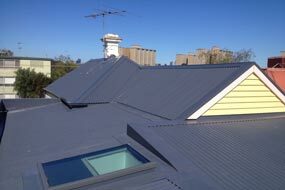 Is your roof looking tired or worn due to the harsh Western Australian sun? We can fix or restore it to its past glory! For the installation of new roofs, trust the team at Perth Roofing & Gutters. We have a range of options available. Patios – Perth Roofing & Gutters can help you make the most of your patio space by installing a pergola or a roof to offer relief from the sun. Our designers will work with you to create the perfect covering so that you can enjoy your outdoor space even in the middle of a warm West Australian summer. Skylight Installation – We offer many different styles of functional skylights which look great. Skylights are a cost effective way to brighten and add life to your home or business. Ceiling Vents – We can install ceiling vents in conjunction with skylights or individually. These are an excellent way to improve the comfort and quality of the air in your home. 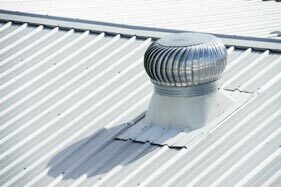 Roof Ventilation – Roof ventilation is a necessity in Perth and the surrounding area. When the heat in a building cannot escape, it can cause significant damage to electrical wiring by making it dry out and crack. This breakdown creates a potentially dangerous situation. Trapped moisture can cause a buildup of molds and mildew both of which can cause health problems as well as permanent property damage. Additionally, moisture can crack plaster and ruin paint in your home or business. Whirlybirds – We strongly advise that all of our customers install whirlybirds. These vents are cost efficient, quiet, and completely self-contained. They are air powered, and even a gentle breeze will make the whirlybirds spin and pull hot air out of the building. 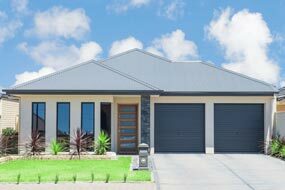 Here at Perth Roofing & Gutters, we offer the installation of a free whirlybird for every $1,500 spent on a job because we feel they are something all structures in the Perth area need. Roof Tiles – Tiles are not just made of terra cotta anymore, and we offer our customers plenty of variety if they are choosing a new tile roof. We find the best materials for our roofing jobs, that is a perk of being a family owned and operated business. We have no obligations to manufacturers. So we can offer you a huge variety of roof tiles. The dozens of colors and materials for you to choose from will guarantee that you get the perfect look for your home or business. 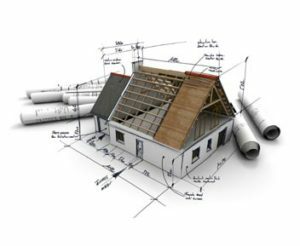 Insulation – Quality insulation is a must for structures in Australia. It helps keep you warm in the winter and also helps keep you cool in the summer. At Perth Roofing & Gutters, we will be sure your home or business has adequate insulation; if it needs insulation, we can install it quickly and easily. Colorbond® Materials – Colorbond® steel is a product that we proudly endorse as one of the best materials available for roofing, gutters, and other outdoor structures on the market today. 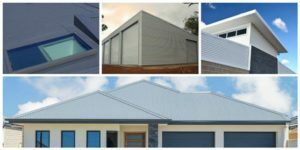 The company has been in business for over 50 years and has specialized in creating beautiful steel specifically designed for Australia’s extreme weather. Of the 22 Colorbond® shades, five are solar reflective. In addition to looking great and being durable, Colorbond® is energy efficient, easy to maintain, offers protection against brush fires, and comes with a warranty. 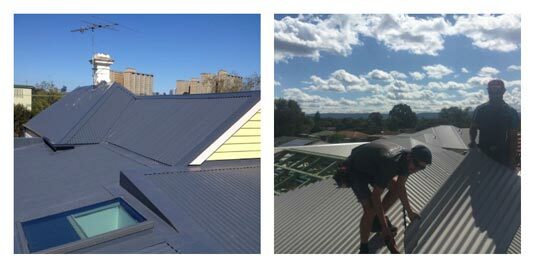 Residential – We have been caring for roofs of homes in Perth and the surrounding area for over 30 years. We pride ourselves in establishing long-term relationships with the homeowners we work for. No job is too large or too small, and we work on new and existing homes. Commercial and industrial – Our team of commercial and industrial specialists is among the best in the industry. Years of experience combine with the latest training to give all members of our commercial crew a keen understanding of what business and industrial customers need and expect. We have proper licensing and insurance and also include maintenance of our work. 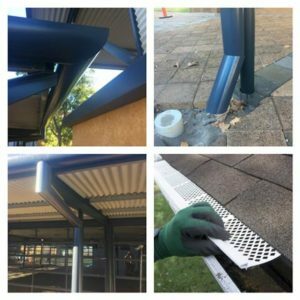 Government – Perth Roofing & Gutters proudly provides roofing and maintenance for various government sites including schools, hospitals, centres for the aged, and government buildings. We offer the required pre-contract work and possess the current certifications and accreditations mandated for all job sites. Maintenance is also a part of our service on government contracts. Mining and resources – At Perth Roofing & Gutters we understand how vital quality materials and workmanship are to safety in mines. We have a dedicated professional team who specialises in the areas of mining and resources. 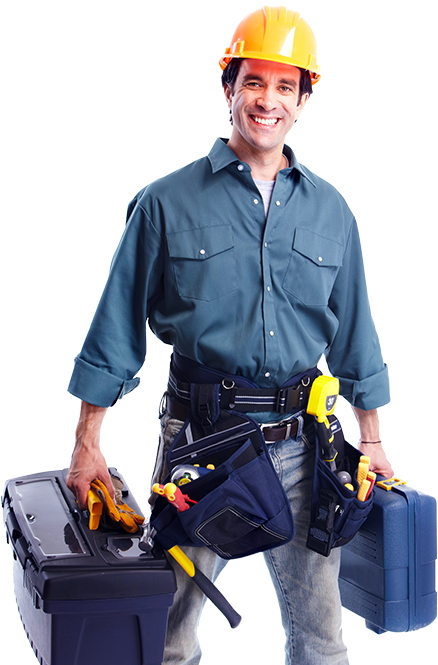 We complete all pre-contract labor and have the necessary accreditations and certifications. We will also perform regular maintenance and safety checks on all of our projects.